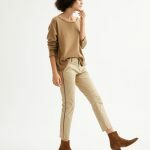 I love going to the beach above most other things, but have none of the right gear, and am looking to up my game in that respect. 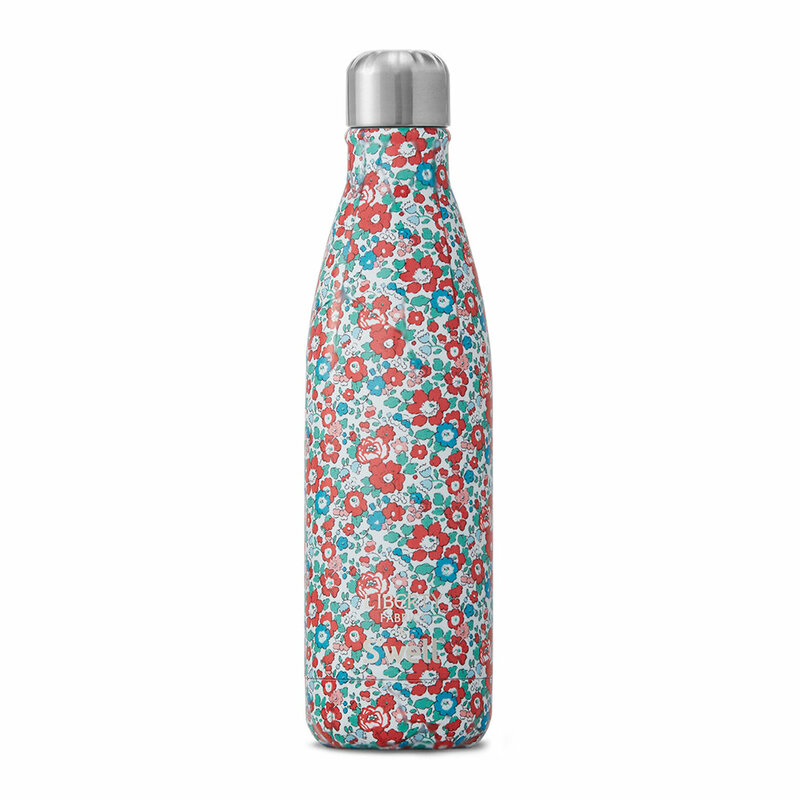 This water bottle, in a bright Liberty floral, would be a nice start. File this under totally unnecessary but pretty nifty: a leather towel harness for a more hands-free beach existence. 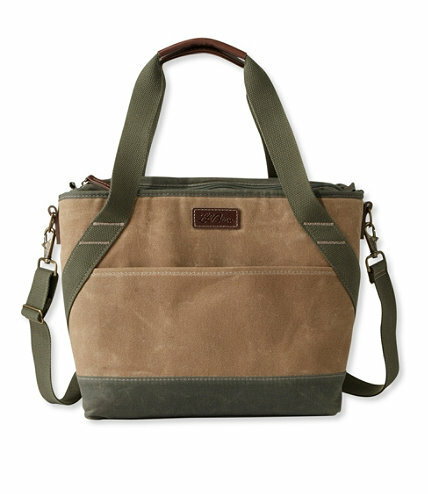 This insulated waxed canvas tote from LL Bean is backordered (this similar one is available) but it is so good it’s worth waiting for, I think. Such a stylish (and surely durable) way to carry your cold items. Such an excellently graphic beach towel that reminds me of this 1968 Olympics poster, which I covet hugely. 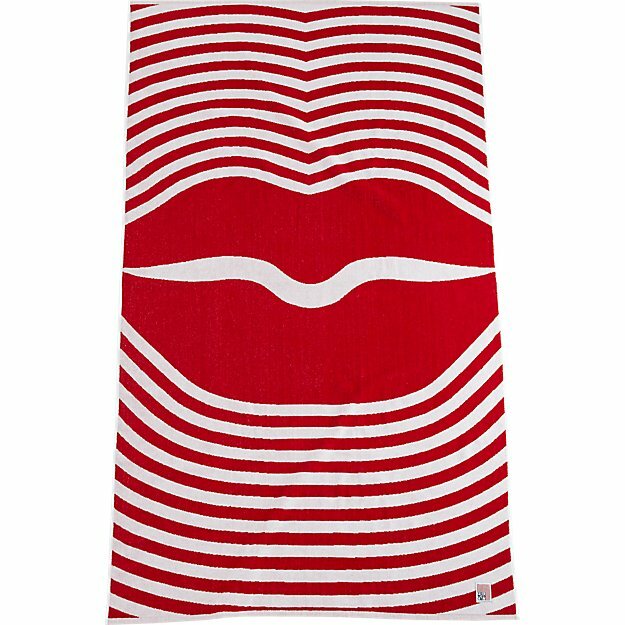 This bright tapestry makes a perfect beach blanket. 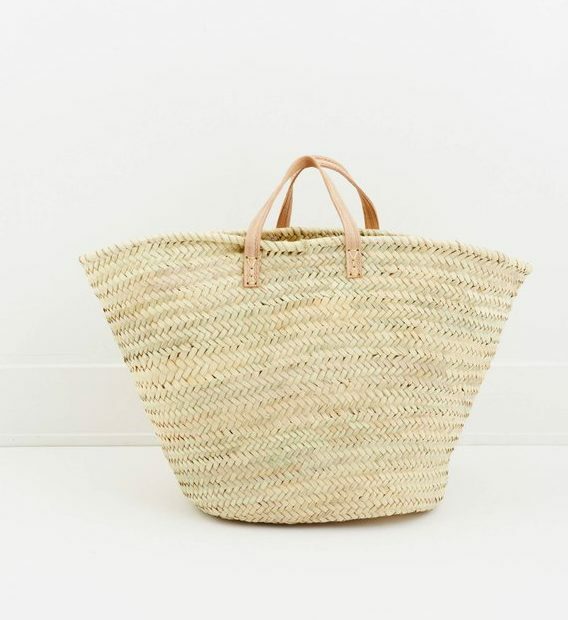 You can’t beat a French market basket for lugging all the essentials, and this is pretty well-priced (and also, check out this one with backpack straps). 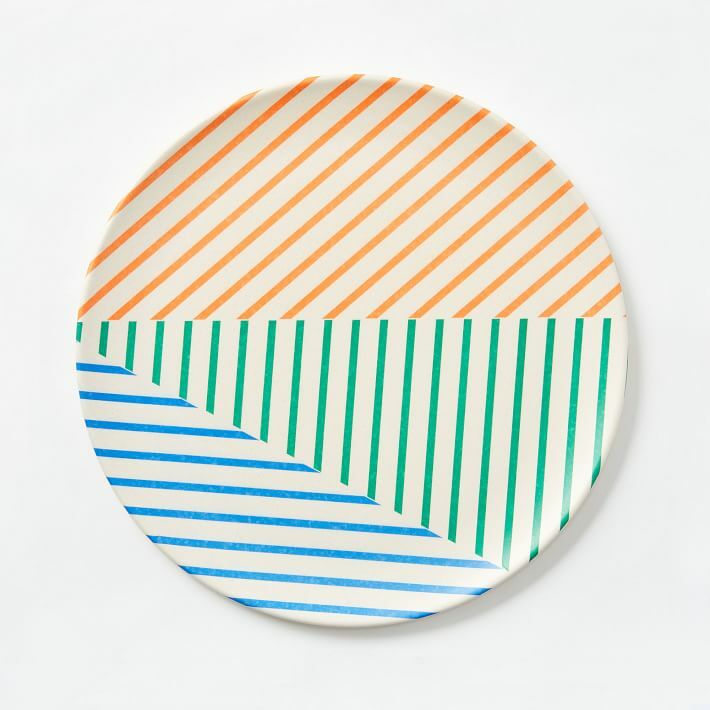 For those who are serious about conducting a civilized beach picnic, these lightweight bamboo plates are pretty cute. 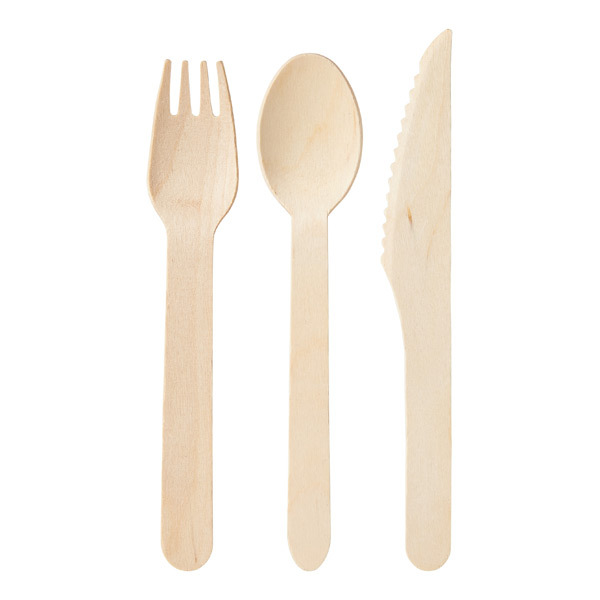 And how about some wood cutlery? I dig the look of this stuff, and it’s so damn convenient. 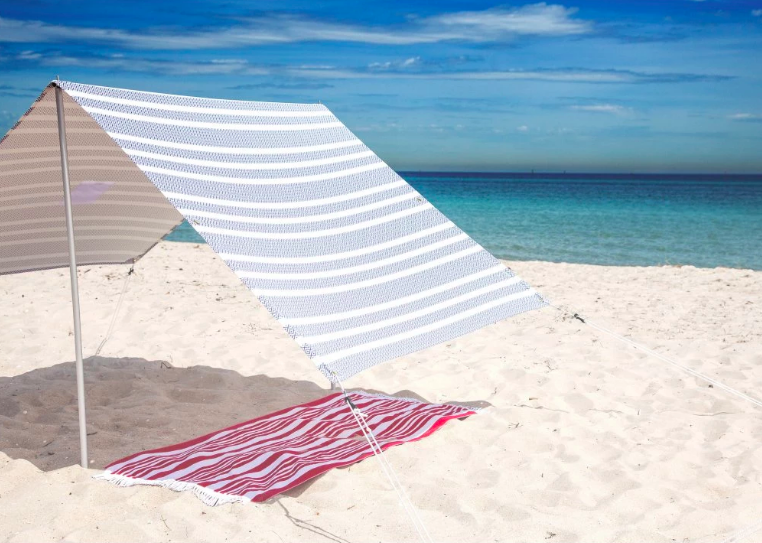 And finally: I seriously crave shade the moment I get to the beach, and am very tempted by this simple, stylish tent. It actually doesn’t look like it would be too tough to set up, either. 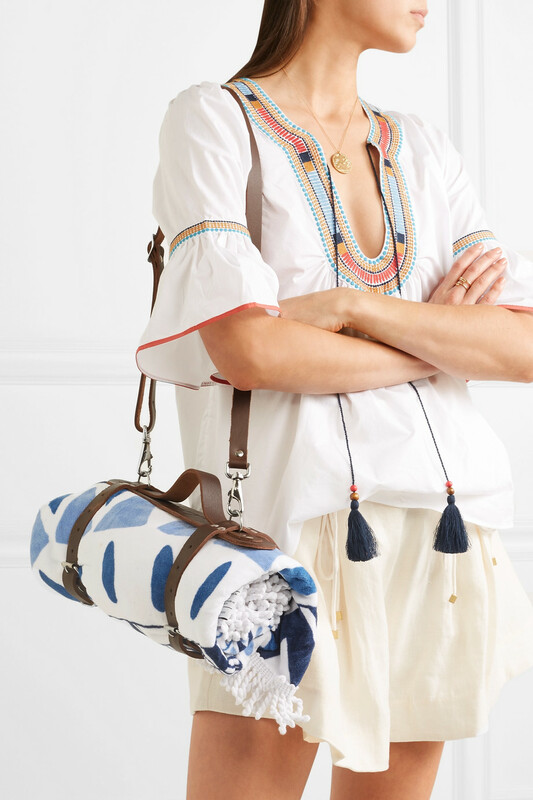 As you say, that towel harness is totally unnecessary, but I WANT it! We’ve had five houseguests this week so all these other things are needed. We did buy a beach tent this year––not nearly a glamorous as the one you show, but practical, and what is called a “half tent” which is enclosed on three sides, but you can put up a “fourth wall” with bull-dog-clips for changing purposes. Those Urban Outfitter tapestries remind me so much of the tapestries we bought in the ’60’s at the height of hippie-ness. Amazingly, my muther bought one in 1967 which I found tucked away in her things last summer––thin as tissue from so much washing and faded to a pale canvas color with only hints of the former pattern here and there. It now resides in my linen closet as it’s too fragile to use so these you show are the perfect replacements! As you say, that towel harness is totally unnecessary, but I WANT it! We've had five houseguests this week so all these other things are needed. We did buy a beach tent this year––not nearly a glamorous as the one you show, but practical, and what is called a "half tent" which is enclosed on three sides, but you can put up a "fourth wall" with bull-dog-clips for changing purposes. 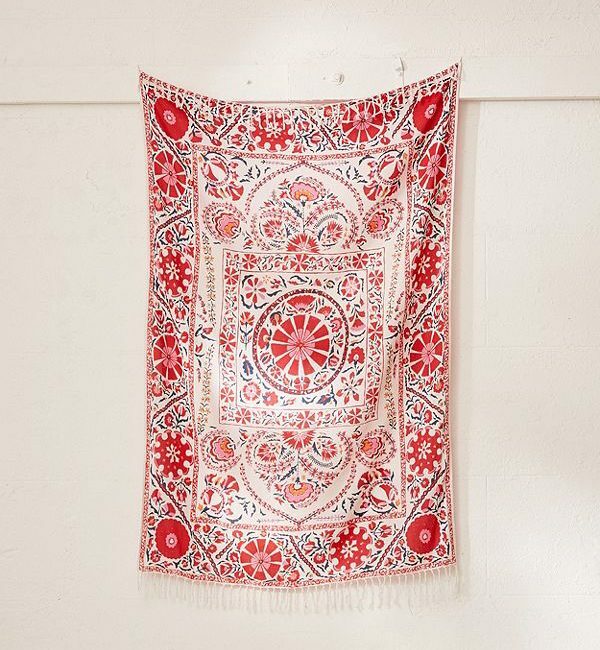 Those Urban Outfitter tapestries remind me so much of the tapestries we bought in the '60's at the height of hippie-ness. Amazingly, my muther bought one in 1967 which I found tucked away in her things last summer––thin as tissue from so much washing and faded to a pale canvas color with only hints of the former pattern here and there. It now resides in my linen closet as it's too fragile to use so these you show are the perfect replacements! I have the S’well bottle in the “Eloise” Liberty print. I couldn’t get behind the whole water bottle thing until I saw this announcement! I love my French market basket to tote all of my beach stuff in. I always feel like I’m 100% more chic carrying it! Plus, it holds EVERYTHING! Remember when tapestries like that were tablecloths? Such sentimental appeal. About the tent, in my experience, it depends on where one is. Costa Rica? YES. Bring portable shade with you or fry. Hawaii? Not necessary. Plenty of trees at the beach.